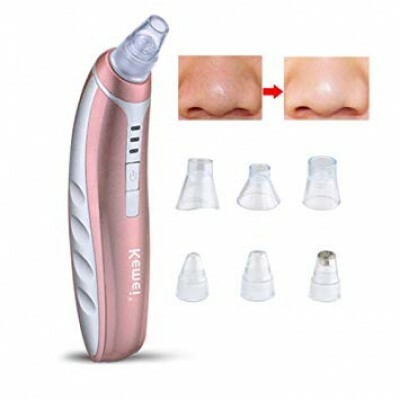 Effortlessly and effectively remove blackheads, pus, dirt and left makeup from your face with the Electric Pore Vacuum. The dirt, left makeup and blackheads can lead to pimples, acnes or large bumps as it accelerates with your facial oil and dead skin cells. The Electric Pore Vacuum is the perfect solution to help you extract them and provide a deep cleaning for smoother and healthier skin. It features three modes and includes four cleaner heads for different treatments. Just press the button and enjoy a deep and thorough facial cleaning.